TV3 have announced the successful shortlist of production companies for the first TV3 soap/drama serial. 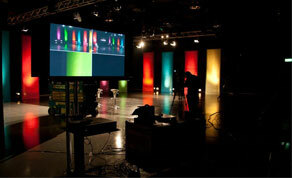 As reported on IFTN in October last year, TV3 invited tenders from production companies to present proposals with defined settings, with “community, medical, Garda-based or any precinct-type location” among just some the suggestions, with an aim to explore the lives of characters through “human drama, comedy, suspense and romance”. These were shortlisted from a list of eighteen proposals. TV3 hope to announce the successful company ‘early in the new year’.